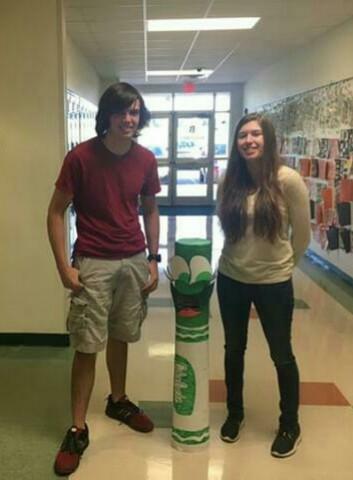 BHS Junior, Ty Holbrook, has brought the Crayola ColorCycle Campaign here to Burnet High School. The campaign was devised to "repurpose" used markers of all kinds instead of sending them to landfills! 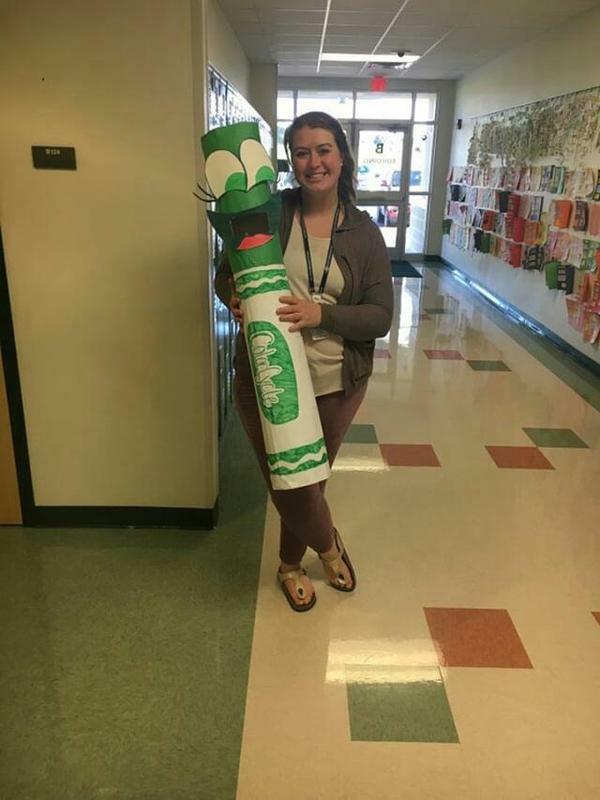 This campaign was recently kicked off by teachers entering into a contest to see who could make the best marker collection box. Mrs. Gegogeine was our winner! The ColorCycle campaign has already repurposed more than 70 tons of markers in the US and Canada since 2013. It uses the most advanced plastic conversion technologies available today to make wax compounds for asphalt and roofing shingles as well as to generate electricity that can be used to heat homes, cook food and power vehicles. Thank you to all teachers who decorated boxes to make collecting these used markers easy for students and staff!